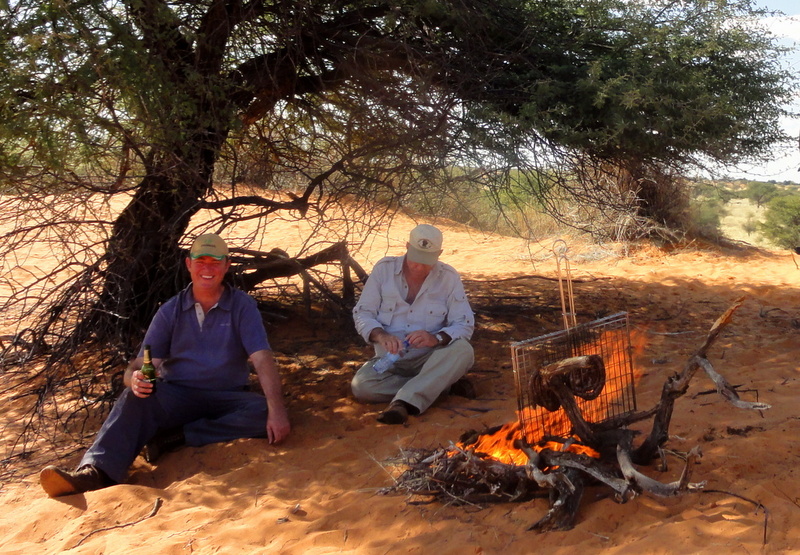 6 weeks in the Kalahari passed like a dream. Like sparks off a flint, the memories captured in photographs, flashes back moments of reality. When patience witnessed nature’s masterpiece in bits of lucidity. 30000 feet below, the long lines of dunes are clearly visible, a regular pattern on the landscape, a testament to “larger than life. The masked Oryx glancing disdainfully over its shoulder, before crossing a dune top. A black-maned Kalahari Lion strolling regally down an omuramba, master of his domain. And the busy little Meerkat, wily Kudu, trusting Steenbokkie and clever Jackal. And dear human friends. The Kalahari is protected in the Kgalagadi Transfrontier Park, established in 2000 by President Thabo Mbeki of South Africa, and President Festus Mogae of Botswana. It is part of the Peace Parks initiative of the WWF. 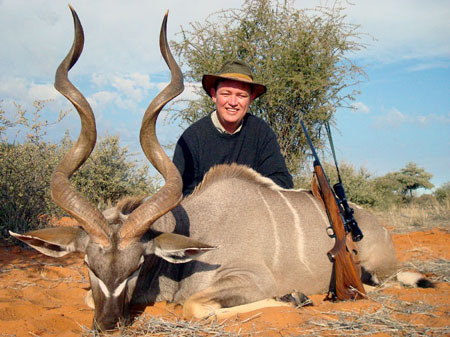 The income from the Park is split evenly, and no formal border between what was formerly the Kalahari Gemsbok (Oryx) Park in South Africa and the Gemsbok National Park in Botswana, exists. Abundant Wildlife, once roaming free over 2 500 000 million km², has been restricted by farming and fences, but elephants, giraffe, lion, leopard and buffalo are still to be found in the large areas conserved for one day’s show and tell. The multitudes of the time before people, decimated by hunters and poachers during the 30’s and 40’s, has been returned to a plethora of game ranches, where the economic realities of Paleo instincts and capitalism, has resulted in the preservation of beauty. HOT in Summer, cool in winter, mostly dry, but blessed from time to time with abundant rain, turning the red sand dunes into lush pastures of grazing. 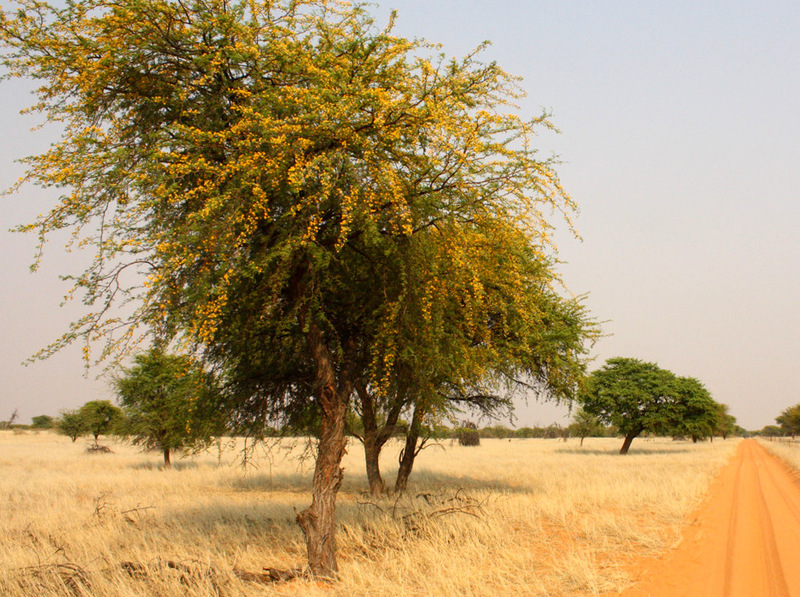 Speckled with Kameeldoringbome (Camel Thorn Trees), slowly growing to great age through centuries, witnessing our travails, their roots stretching down to subterranean levels, for sustenance from the ground water beneath the Red Dunes. 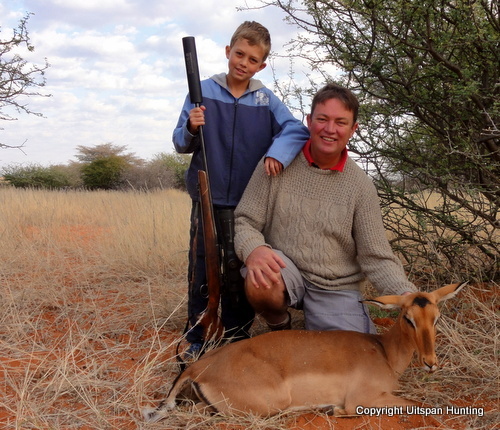 The Kalahari Truffle, !Nabas (Tongue Click sound! ), waiting for just the right combination of hot and cold, wet and dry, to hide in wait beneath the large trees, betrayed by only a small crack in the red sand. A delicious delicacy to the Nomadic tribes traveling through boundless stretches of country, nowadays an excuse for a family affair, filled with laughter, excitement and exclamations. The stars at night, camouflage the International Space Station hurtling past on its endless fall around our Blue Planet, followed by a myriad of little pilot fish satellites. The Milky Way reminding of Machu Picchu, and how easy it must have been to find reason in a world without The Large Hadron Collider, Hubble, and E=mc2. No Oprah and Jerry Springer. Dstv and Netflix, Billions ofShort Selling and Petabytes of Information. When people still knew the ones they befriended, and could actually recognize them between one pyramid and the next. Talked to the ones they were with. Uncomplicated. 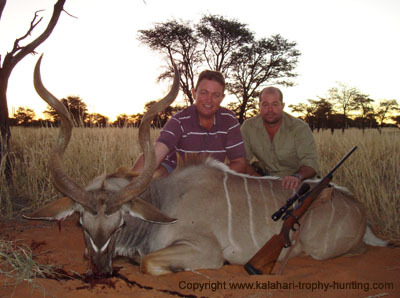 People of the Kalahari love it with a passion. Masters of their cellphones and computers, e-mail and WhatsApps, digital TV and Broadband, and PV Panels, they live an uncomplicated life, where God convincingly looks into your eyes with the morning sun. Then the pleasure of a simple midday meal in the shadow of a Doringboom canopy (Thorn tree). At night, around campfires, families gather, songs are still sung, and amid laughter and jest, stories told. Meat is barbecued over the glowing coals in the huge sit-around fireplace. Beer (in true dedication to the strong German history that permeates Namibian towns and country) drank with a Keine Kleine (Whiskey) on the side. In the stillness of an African evening, far-off lightning in the cloud banks to the North-East, the flashes attracting the attention of grazing animals, looking up from the day’s last mouthfuls before a night under a sky full of stars, is a reminder of the great migrations that once was as much part of this landscape, as it still is of the Masai Mara. A cool wind blows from the West, the early clouds bright blue white, then burning amber back-lit by the sun setting in the great Atlantic Ocean. 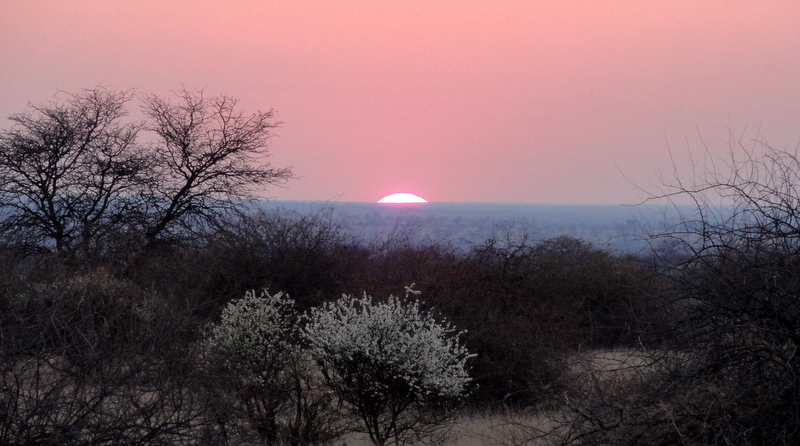 The longing to return to the Kalahari, the mystical meeting place of heaven and earth, cannot be aptly described. People have tried to do so, in song and verse, to no avail. The Kalahari touches your hart. Your soul. Something more than yourself. Once you have been here, you will come back. 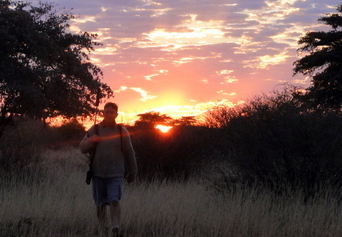 "The Kalahari touches your hart. Once you have been here, you will come back.